The most interesting thing about this, Lau Kar-leung’s first film as a director after a distinguished career as action choreographer and stunt man, is the prologue, which takes a sidelong glance at the Boxer Rebellion, in which groups of disaffected Chinese men, apparently convinced that through rigorous kung fu training and devout religious belief they could make themselves impervious to foreign weapons and attain a variety of other superpowers, rose up against the various imperialist forces that had been colonizing China for most of the 19th Century, slaughtering thousands of Christians and Europeans, and ultimately further weakening the Qing Dynasty in its last days as the various foreign powers unified to crush them. Lau calls out the Boxers as charlatans, exposing the trickery that enables them to convince the Dowager Empress of their abilities (as Chen Kuan-tai and Ti Lung appear invulnerable before her under the protective spell of a Taoist priest). The Boxers themselves, and Chen and Ti, don’t appear in the rest of the film, which is an amiable comedy about a small-time huckster who more or less accidentally does some good deeds. But the implications of the prologue loom large. For the Boxers’ trickery is that of the moviemakers: falsifiers of images, magicians who trick the audience into believing the impossible. His first act as a director being the exposure of martial fraudulence, Lau then proceeds to build his career as a director on a contrary verisimilitude, on the depiction of actual martial arts by actual martial artists. This extends to the particular movements performed onscreen: Lau reportedly had serious clashes with Jackie Chan on the set of Drunken Master II over Chan’s refusal to perform the orthodox Drunken Boxing style. 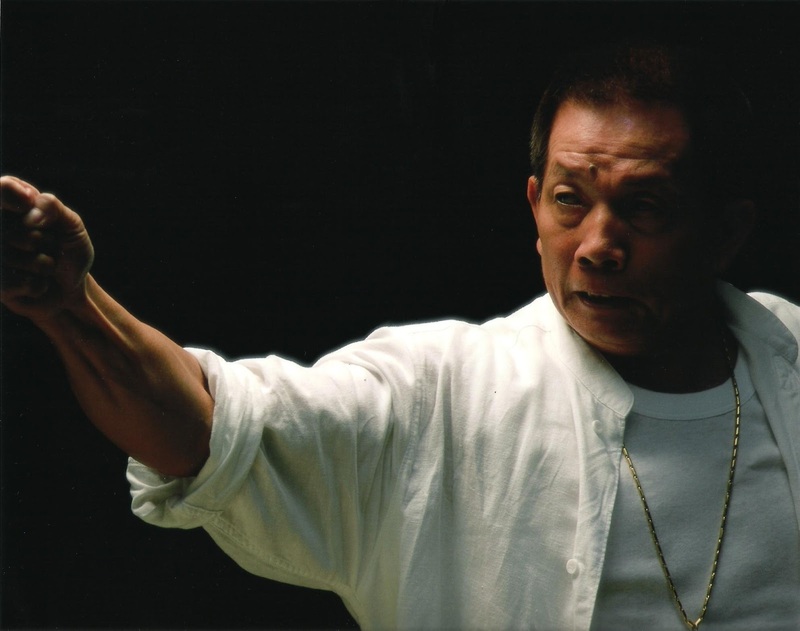 Most of Lau’s films will begin with a non-diegetic performance by the star or stars, in which the particular movements and kung fu styles that will be used in the film are demonstrated against a stark, one- or two-toned background. They are the baseline melodies of his films, the action scenes that follow are the variations and improvisations on these themes. But of course, Lau will exaggerate. No one actually gets sliced, chopped or mutilated or killed in a Lau film. No one actually gets their teeth pulled out at the end of The Eight-Diagram Pole Fighter. What he brought to the martial arts genre was not documentary realism, but rather a grounding of his fictions in a basic reality, prefaced by a warning that not everything we see is to be believed, even stunts performed by the most skilled martial artists (as Chen Kuan-tai and Ti Lung, Lau’s phony Boxers, most definitely are). Rather than cut around performers who can’t actually perform the stunts required of them, or obfuscate with the rapid-editing, nauseatingly hectic handheld camera style of so many inelegant Hollywood action films, Lau’s films are as much about capturing an actual athletic performance as it actually occurred as they are about anything else: we see complete movements and he cuts for clarity and emphasis, not obfuscation. He’s not above the use of a trampoline to exaggerate the height of an actor’s leap, but the commitment to reality remains, though the edges may get a little smudged. I’ve often said in these Summer of Sammo reviews that the key theme of the kung fu movie is the conflict between the desire for revenge and the moral imperative to forgive, between the demands of loyalty and duty and the desire to withdraw from worldly concerns in search of enlightenment and spiritual peace. The tension between fakery and realism is a a kind of meta-theme of the genre as well, an opposition between fantasy wuxia films, crazy movies where people perform impossible feats with magical swords and spiritual energy has a marked similarity to laser beams (such as the films of Tsui Hark or Ching Siu-tung), and kung fu films proper, which are set in a more real world and are more grounded in their special effects and tend to feature hand-to-hand combat rather than fights using weapons (the films of Sammo Hung, Corey Yuen and Jackie Chan – Yuen Woo-ping distinguishes himself as a master of both subgenres). There are exceptions and cross-pollinations across all these distinctions, but the setup generally works, I think, to identify two very different approaches to film, and two different ways we in the audience process those films: as wild imaginative spectacle or with wonderment at the possibilities of the human body. I treasure both experiences, but Lau positions himself firmly on the side of humanism versus abstract expression, and against the belief in the impossible. Circling back to the Boxers, the belief in them, and their own apparent belief in themselves, rested on a kind of credulity, that of a poor people living in an apocalyptic age, beset by calamity after calamity (invasion, natural disaster, economic collapse, governmental corruption, epidemic drug abuse) and turning an irrational eye toward leaders who would then exploit them for their own ends. The Boxers, when they’re shown as true believers, are tragic figures. Often when depicted in film (in Tsui Hark’s Once upon a Time in China II, or Lau’s later film Legendary Weapons of China), they’ll be played both ways: the masses as heroic yet pathetic victims of cynical leaders who tricked and manipulated them into committing terrorist and/or revolutionary acts. Lau’s Boxers are fakes tricking the Empress herself into believing in them. But the hero of The Spiritual Boxer is also a fraud, in that he does not really have the ability to act as an avatar of the various gods he gulls people into believe he can call upon. He knows his special effects are phony but comes to realize the very real power of his actual martial arts skills, taught to him by the same master who taught him to be a cheat and a con-man. He is a skilled fighter and he scores very real victories against the various villainous figures he encounters. Without the bells and whistles, the religion and the trick swords, he can defend the weak and defeat the villains.